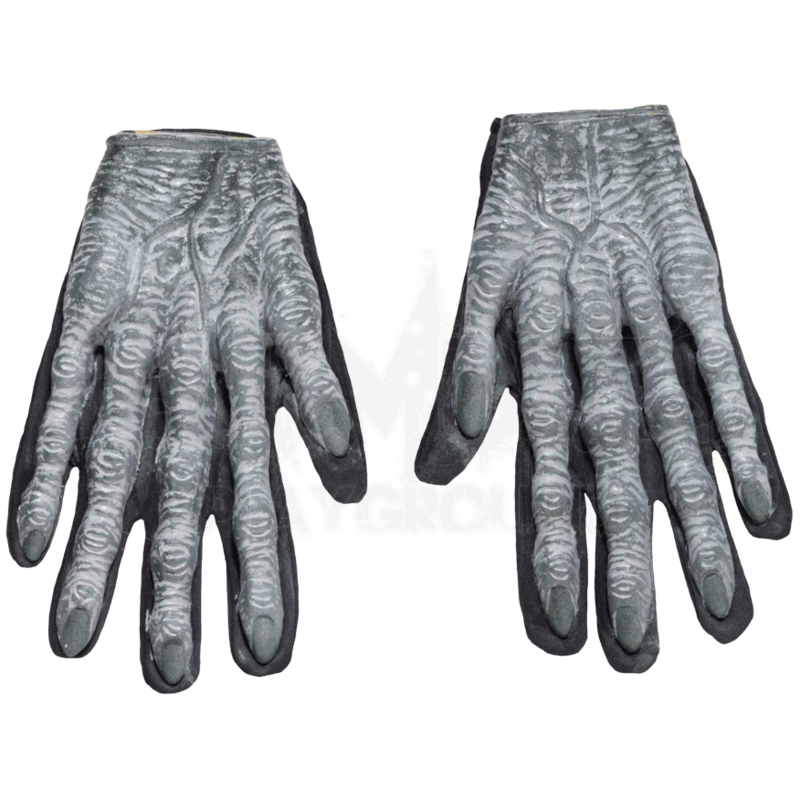 These Zombie Gloves are the perfect addition to virtually any gray-skinned zombie costume. 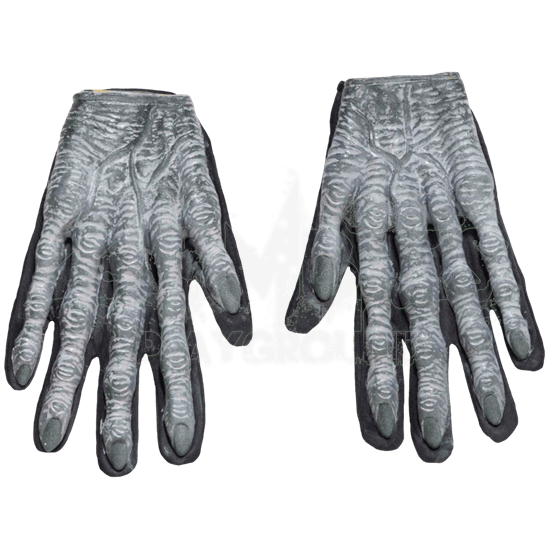 Don these gloves and you will immediately disguise your hands, all but replacing them with wrinkled, graying flesh and long, bony zombie fingers. Once you slip your hands into these gloves, you will find others shirking away from your touch, just like a human should from the ghoulish hands of a zombie! These gloves have a great look, featuring zombie hands made from latex that have been molded onto the back of black elastic gloves. The latex zombie hand is gray skinned and wrinkled, featuring a dried, corpse-like look that is perfect for a long-dead zombie. The palms of the glove are fabric, to ensure that despite the latex top and the elastic glove, you retain a grip perfect for capturing your prey, or doing just about anything else. These gloves are available in one size, which fits most adults. Do not look at the Zombie Gloves as an alternate to makeup and application. Instead, look at them as a completely viable option that is perfect for giving covering every inch of skin you can with grade-A zombified flesh to create the most realistic zombie that you possibly can.